&apos;Twas the month before Christmas throughout Hendricks County, and people were making a holiday bounty. 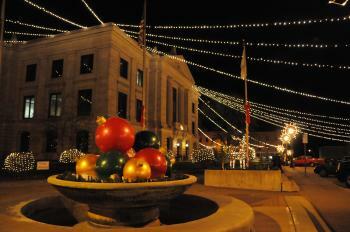 Family events were on top of the list, with trees, lights and shopping that cannot be missed. We made a holiday event list and called it Top Ten. The Christmas season begins in Hendricks County, Indiana, with this annual show on Nov. 17 at the Hendricks County 4-H Fairgrounds & Conference Complex in Danville. Presented by the Central Indiana Division of the National Model Railroad Association, this train show provides the perfect introduction to the holiday season. The model train show includes about 100 dealers featuring everything from train cars and locomotives in every scale from G to Z, as well as a huge selection of accessories to make your setup or collection complete. The event also includes operating layouts, clinics, food and more. It costs $3 per person or $5 per family and is open to the public from 10 a.m. to 3 p.m.
That same weekend is the first of two for the Christmas at the Orchard at Beasley&apos;s Orchard in Danville. Over two weekends, Nov. 17 and 18 and 24 and 25, Beasley&apos;s Orchard is transformed into the North Pole, and families will find Santa Claus in his authentic antique sleigh there with his professional photographer elf, ready to take pictures of your kids on Santa&apos;s knee. Sample some of Beasley&apos;s out-of-this-world, hot apple cider, and get a head start on your holiday shopping amongst their wide selection of jams, jellies, baking mixes and much more. Christmas at the Orchard goes from 10 a.m. to 2 p.m. on all four days. The Town of Danville welcomes the Christmas season on the historic Hendricks County Courthouse Square the day after Thanksgiving -- Friday, Nov. 23 from 4 to 6 p.m. during Christmas on the Square. This annual event features a live nativity scene, a trackless train, Christmas characters walking around, carolers and the Kiwanis Club of Danville providing hot cocoa -- all under a beautiful canopy of lights that brings out the Christmas spirit in even the Grinchiest of Grinches. It all culminates in the lighting of the Town&apos;s Christmas tree. Immediately following Christmas on the Square, Danville Parks & Recreation fires up the enormous Winterland Holiday Light Show at Ellis Park, which is always a jaw-dropping display. Beginning Nov. 23, Winterland is open at 6 p.m. every night through Dec. 30 (closed on Christmas Day), staying lit until 9 p.m. on Sundays through Thursdays, and until 10 p.m. on Fridays and Saturdays. Admission is $10 per carload. Saturday, Dec. 1 is a big day in Hendricks County for fans of Christmas, and there&apos;s no better way to start your day than with Plainfield Tri Kappa&apos;s Gingerbread Christmas at Plainfield High School. 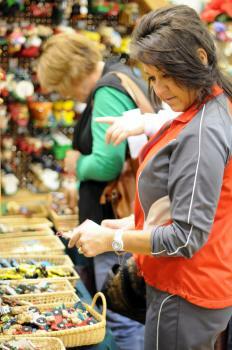 From 9 a.m. to 3 p.m., shop &apos;til you drop at more than 130 booths filled with unique hand-crafted items. Home decor, crafts, one-of-a-kind gifts, jewelry, toys, clothing, artwork -- it&apos;s all there, and more! The popular Cookies & Cocoa event is back at Natural Valley Ranch in Brownsburg this year on Dec. 1 with two sessions to choose from -- 10 a.m. to noon or 1 to 3 p.m. Admission is $10 per adult and $7 per child, and you must pre-order tickets to attend. Click here to order your tickets for the session of your choice, and then head out to Natural Valley Ranch to ride a pony, visit the petting zoo, take a photo with Santa by the fireplace, enjoy story time and a craft and savor some holiday snacks that include, of course, cookies and cocoa. 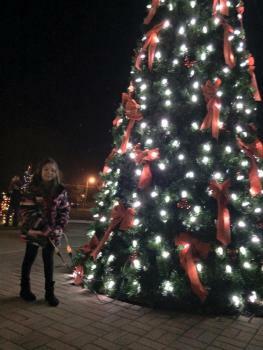 Head on over to Avon Town Hall Park on Dec. 1 at 6 p.m. for the Avon Tree Lighting, where you&apos;ll find live music and entertainment, crafts, hot cocoa, train rides, a visit from Santa, the lighting of the Town of Avon&apos;s Christmas tree and then fireworks! This event is free to attend and will take place mostly outdoors, so make sure you dress for the weather. Also on Dec. 1 at 6 p.m., the Christmas Under the Stars parade winds its way through Brownsburg with lots of beautiful floats, candy flying everywhere and a grand entrance by Santa Claus himself at the end of the parade. Then make your way to Brownsburg Town Hall for the lighting of the Town of Brownsburg&apos;s Christmas tree and free photos with Santa. This event is free to attend and will take place outdoors, so make sure you dress for the weather. Strides to Success in Plainfield hosts a popular annual event called Christmas with Santa and the Ponies, and this year, it will be held on Dec. 7 and 8 from 4 to 9 p.m. each day. For a $25 donation per family, you can visit the Strides Facility at 1350 Terry Drive in Plainfield and enjoy family photos taken with Santa Claus and a Christmas pony, make a frame for your photo, and enjoy reindeer games and holiday refreshments inside a heated and decorated barn. One of my favorite towns in Hendricks County -- North Salem -- hosts its annual Old Fashion Christmas on Dec. 7 and 8. The Town of North Salem lights its Christmas tree on Dec. 7 at 6 p.m., and then stick around for a couple hours to do some holiday shopping specials, hayrides and other activities. Beginning at 8 a.m. on Dec. 8, enjoy breakfast with Santa Claus, followed by a day full of shopping and holiday fun. Also, make sure to stick around for the chili cook-off at 4 p.m.
Oh no! When Santa Claus was at Natural Valley Ranch in Brownsburg last weekend for Cookies & Cocoa, it seems that he had a hole in his coat pocket, and he dropped candy canes all over the place! Who&apos;s going to clean up this big mess? How about your kids? 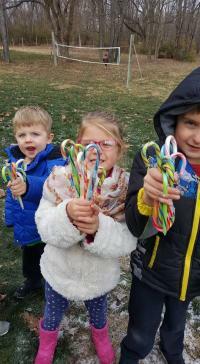 For $7 per person in advance or $10 at the gate (children under the age of 2 are free), you can come out to Natural Valley Ranch on Dec. 8 from either 10 to 11:30 a.m. or 1 to 2:30 p.m. and help find all the candy canes during the Candy Cane Hunt. 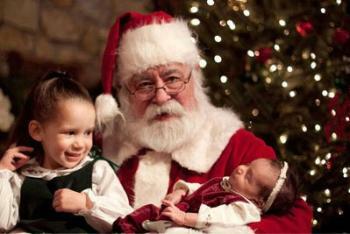 Kids can also visit with Santa, see the animals in the petting zoo and enjoy a treat from the popcorn bar. Save yourself $3 per person by clicking here to purchase tickets in advance. So spring to your sleigh. To your fam, give a shout! Hendricks County&apos;s the place to get out and about! Find more stuff to do here before you head home.